Our Mission: To have fun. Inspire. Give back. During our 2014 tour we rode 14,000 miles from Seattle to Alaska to Maine to Florida. 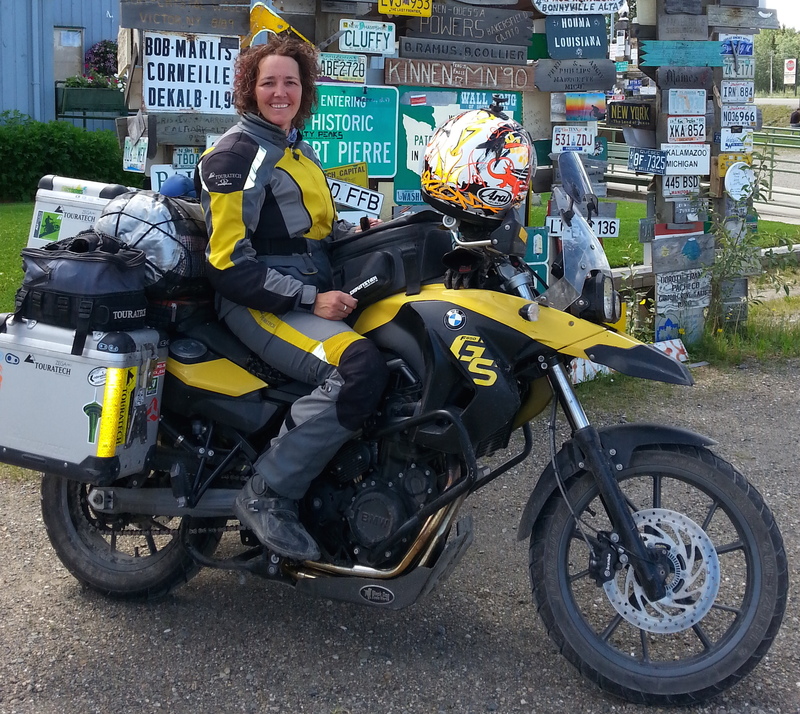 Following that awesome journey went on to ride four Backcountry Discovery Routes (BDRs) – a series of scenic, mostly unpaved and challenging routes through several states developed for dual-sport and adventure motorcycles. As far as we know, no one, man or woman has ever ridden four BDRs back to back. After we finished our fourth, Shal went on to ride a fifth BDR, the New Mexico BDR to participate in the filming expedition. When all was said and done, we rode over 27,000 miles. Prior to setting out on our BDR challenge we wanted to harness the uniqueness and visibility of what were doing to inspire and help others. To make this adventure bigger than just Steph and Shal having a good time. We were physically and financially able, and more importantly we had the emotional support and encouragement of our family and friends. With those advantages its not an option to not consider doing something bigger than ourselves. Please check out our Fundraiser page to learn how we’re going extra big. This blog, SSquaredLiving.com allows us to ruminate on our challenges, successes, and how this experience impacted us. It serves as a vehicle for us to be witnessed. We unapologetically hope to inspire people, especially women and girls, to follow their passion while letting go of conforming to societal pressures and expectations. Its not always easy, but its sure fun trying. And now, where will the next adventure take us?